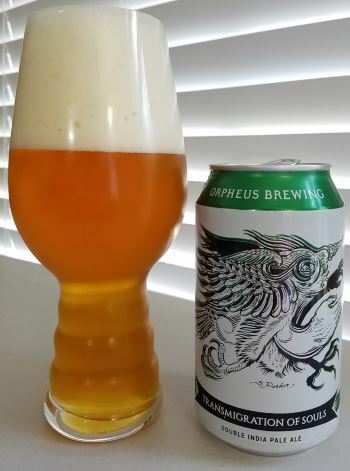 Orpheus, of Atlanta, Georgia, is really good at hoppy beers. I mean, really good. and Transmigration of Souls may be one of their best. It’s a double-IPA that Orpheus calls “overpowering” but it isn’t overpoweringly bitter; it just has huge flavor. The nose has lemon and orange. The middle has orange, grapefruit, pineapple and butter. The finish is smooth, without a lot of change in the flavor though a bit more grapefruit comes out and a tiny hint of pine resin right at the end. 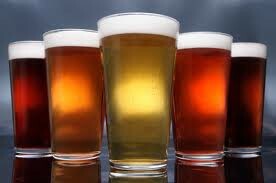 The body is medium-heavy to heavy, and the alcohol is 10% ABV and quite subdued. 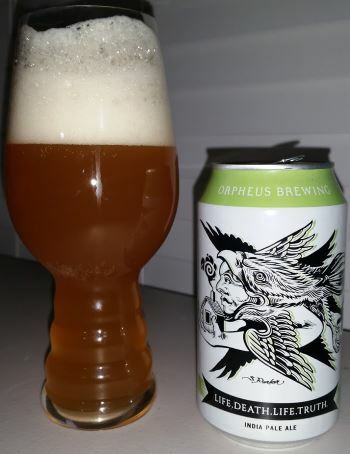 This entry was posted in Reviews and tagged Ale, DIPA, Georgia, Imperial IPA, IPA, Orpheus on September 9, 2016 by Xander.